It’s Monday and the weather is miserable outside, just another day in the UK some might say. So I’ve selected this deliciously warm and cosy dish which makes it just a little more bearable. I also want to take the opportunity to clear up any misconceptions surrounding this dish. Most people probably have never heard of it before, but recently I was watching my favourite pass time show – come dine with me (that’s cdwm to fans out there), and one contestant made this dish. Initial excitement was soon followed by despair. She claims to have first come across this dish whilst living in Dubai at her favourite Thai restaurant (what, right?) and got her recipe from there… So far still ok, but then one of her first ingredients was red food dye to colour the meat… oh spare me. Whilst the colour (red or hong) is essential, it’s in the name, it comes from the way the meat is cooked and not artificially added. 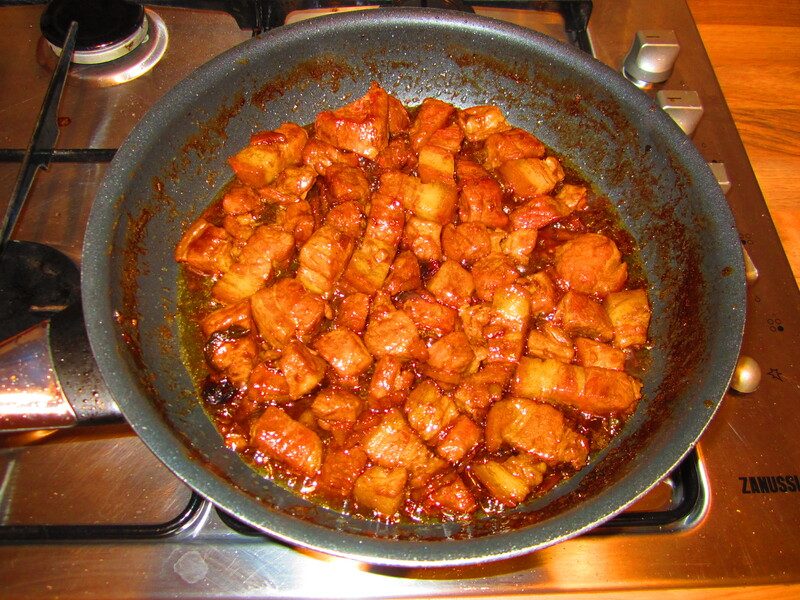 Another common misconception is mixing this dish up with Char Siu (literally means fork burn/roast) which is a cantonese dish and is also red on the outside (this colour does often come from food colouring). Although not as iconic as Kung Pao chicken (certainly outside of mainland China) it is still a very symbolic. To me it represents an era of China before the modern day industrialisation machine really took hold. Perhaps it’s the colour (red) or because it was supposedly one of Mao Zedong’s favourite dishes but I always associate it with the period around the revolution when food was scarce and meat was rare. When people preferentially picked meat which had more fat as it gave the meat more taste and you more energy (I still remember first being in the UK and finding it astonishing how lean all the meat in the chilled isles were). 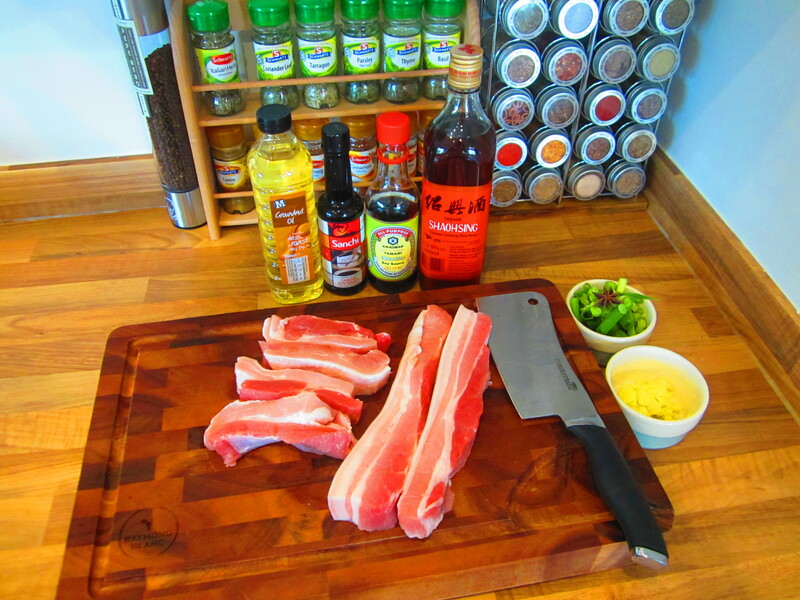 This dish is typically made with streaky belly pork, known in China as ‘wu hua rou’ which literally translates to ‘five flower’ meat because of the 5/6 layers of fat and lean. 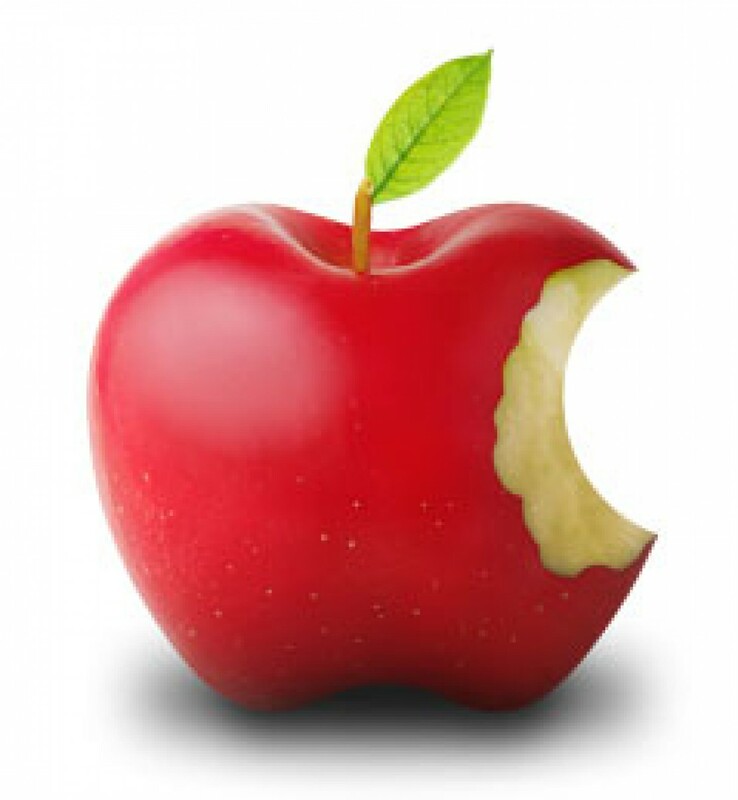 This might be the reason why its popularity has fallen in recent years as people in China becomes more health conscious. But I still think on occasions this dish can be a fantastically sensational treat and there can be no arguing with how it tastes… delicious! I’d usually eat this with a couple of other vegetable dishes with rice. 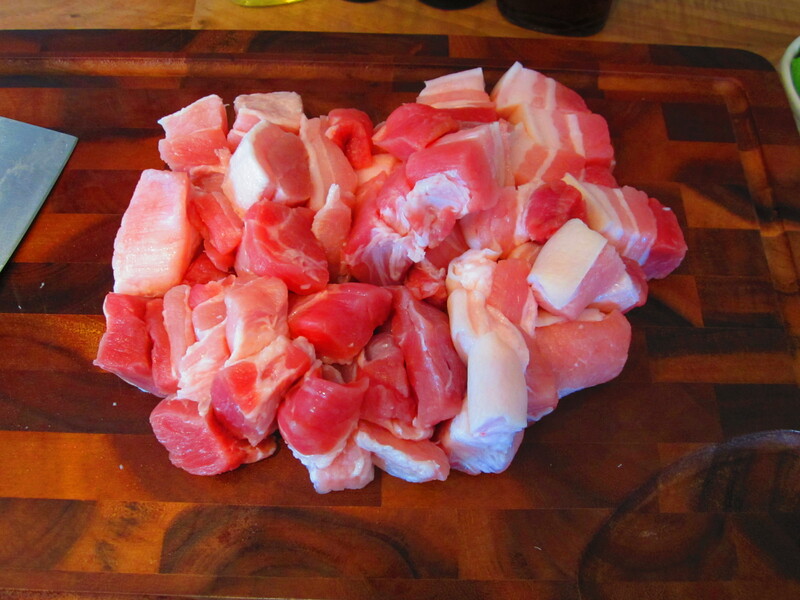 Cut the pork into 3 ± 0.5 cm chunks, try to ensure each piece has a good mixture of fat and lean meat, and blanch in boiling water for 2 minutes. Drain the meat and set aside. Add the oil and sugar to the pan over a low heat until the sugar has dissolved. 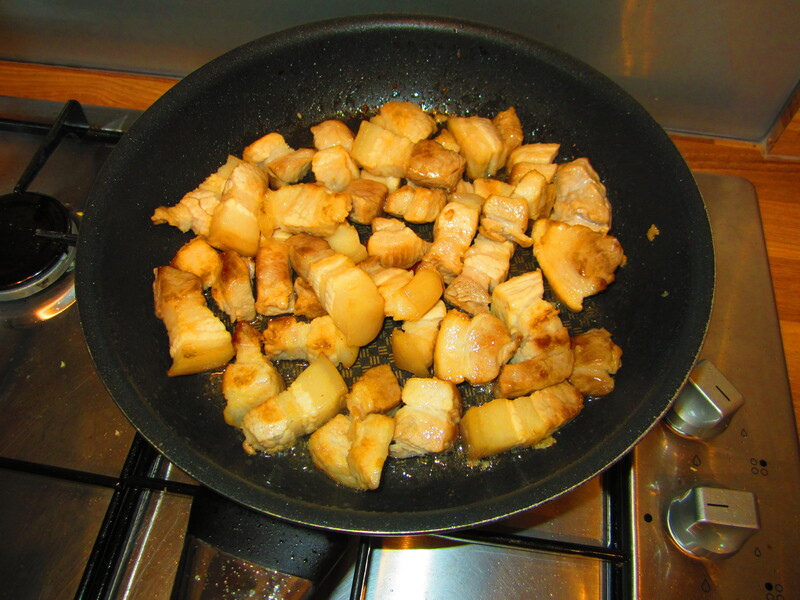 Add the pork and turn the heat up to medium and cook for 2 minutes until lightly browned. Add the stock and all the other ingredients, then stir well. Bring the whole thing to boil, then simmer with the lid slightly uncovered over a very low flame for about 1 hour 40 minutes. 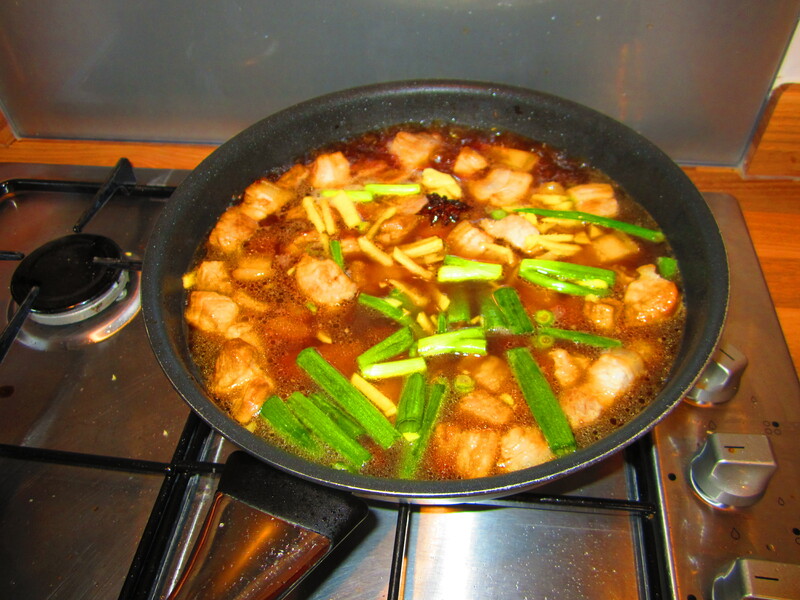 Stir occasionally to avoid burning, until the liquid is significantly reduced to a glistening coating. I have selected this somewhat iconic dish for my first blog post as I often find it’s international popularity is only rivaled by its lack of authenticity. 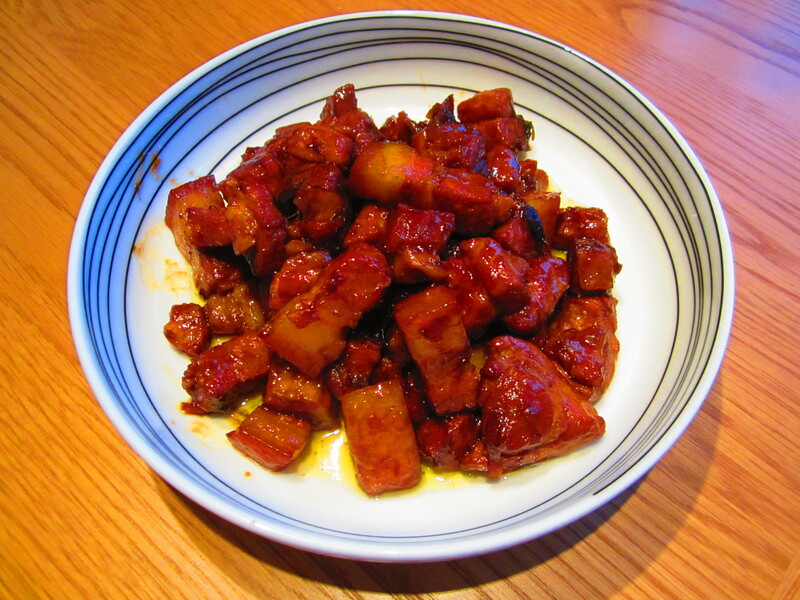 It is also somewhat controversial as many people (mainly chinese, in particular those who grew up or have visited china and eat away from the touristy restaurants) see this dish as a western obsession which often distracts them from the vast array of other dishes and styles of food China has to offer. 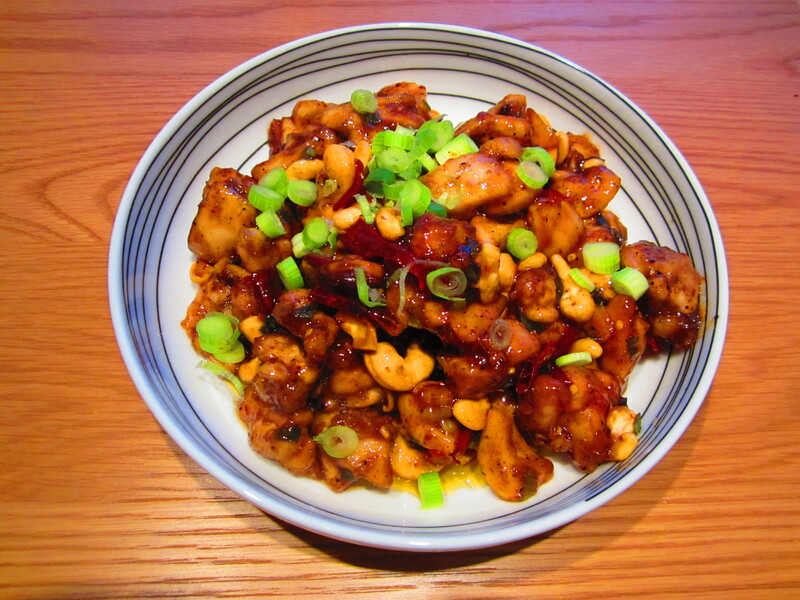 However, Kung Pao chicken (correctly pronounce ‘Gōng bǎo‘ chicken) is fundamentally a classic chinese dish from the Sichuan (Szechuan) region, although you can find it in most restaurants around Chine even if its not on the menu. In fact I think you might be hard pressed to find a restaurant in Beijing (you might say it’s a touristy town) or even xinjiang (how’s that for far and remote) where if you insisted, the chef couldn’t make some version of this dish for you. It’s chef school 101 in China (I imagine, or they’ve just grown up around it so much). Anyway I’m digressing here. Sichuan cuisine or ‘chuan cai’ is a major food style in China (with 81 million people in Sichuan province that might not be surprising). 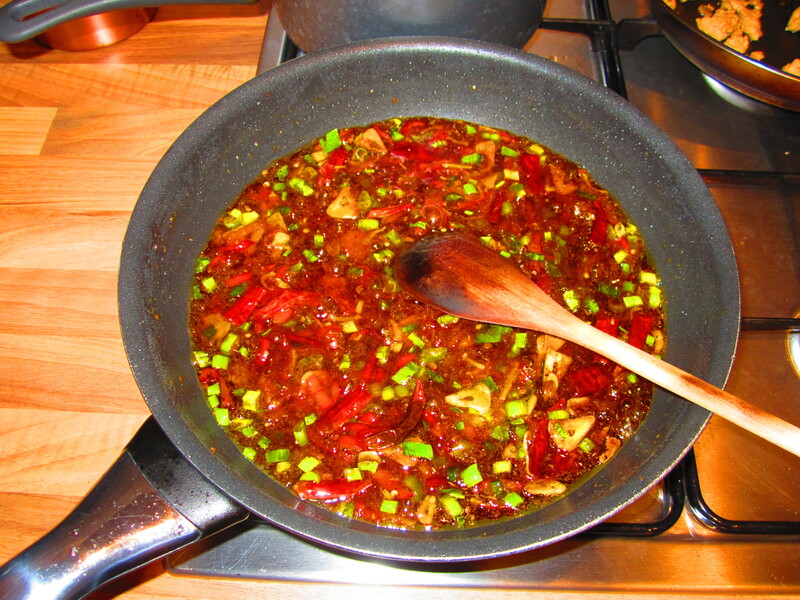 It’s signature is often described as numbingly hot with plenty of chilli oil. Perhaps that’s why it’s likely the most popular food style in China, as people eat out they enjoy turning the heat up and getting a good sweat on (delicious imaginary for a food blog right?) which they might not do at home everyday. This could also be why perhaps Sichuan cuisine is on the decline as people opt for more refined/dignified dining. Also the popularisation of chilli sauces such as Lao Gan Ma has allowed people to enjoy that thrill of heat in the dignified confines of their own home. Just look how popular those sauces have become! You might have gathered by now I’m a big fan (what’s bigger than big… huge, massive – gargantuan fan) of Sichuan cuisine, and so fortunately is my girlfriend when she’s not saving lives like right now whilst I’m sitting here writing this. That’s why I chose this iconic dish as my first recipe. Introduction/rant over, here’s how to make a proper gong bao ji ding (there will no none of this orange nonsense so put them away) gluten free! 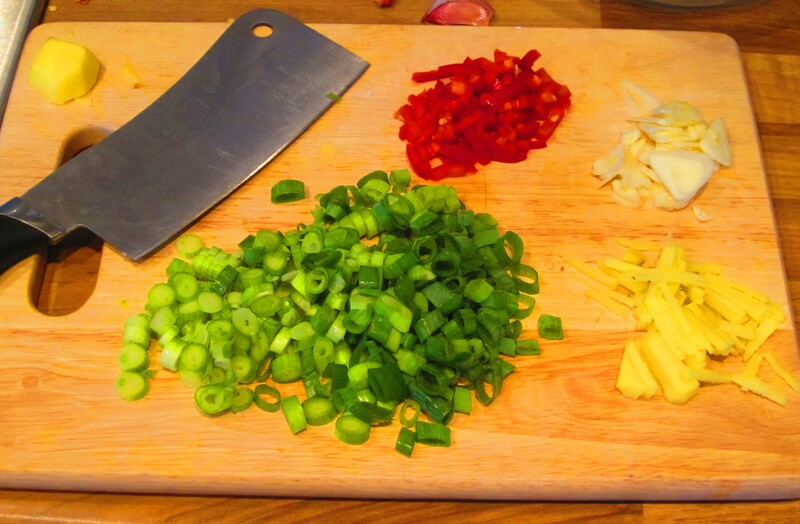 Finely slice the spring onion and fresh chilli then peel and finely chop the ginger and garlic. 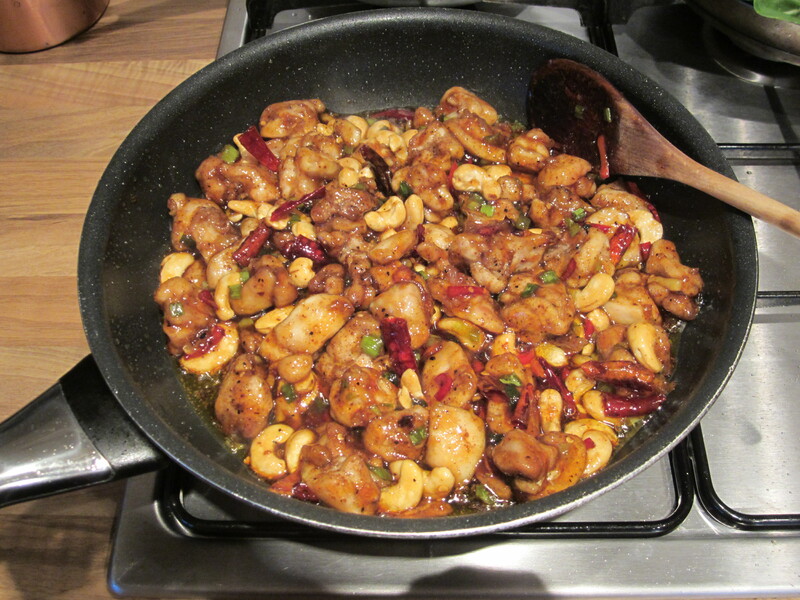 Roughly cut the dry chillies into chunks (add more if desired, in Sichuan cuisine dry chillies are added liberally). 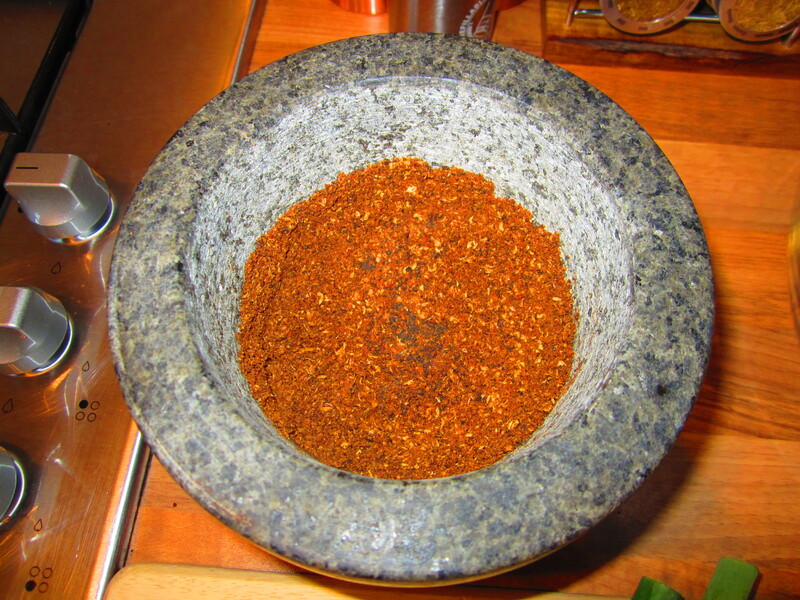 Add the peppercorn powder to a large bowl and mix in 4 tablespoons of cornflour, stir together. 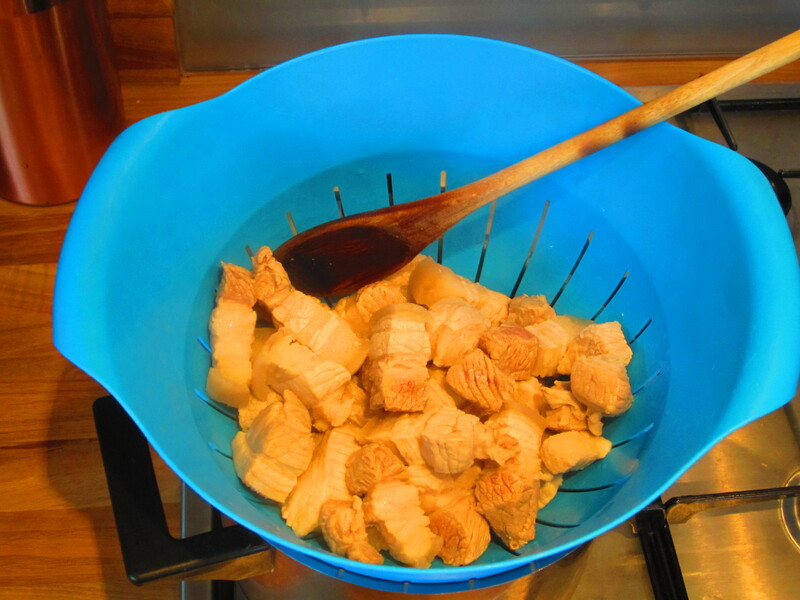 Dice the chicken into bite-sized chunks (~2 cm cubes perhaps), then throw into the cornflour and mix it all together until the chicken is fully coated. Add the oil to a medium sized pan until ~2 cm of depth. 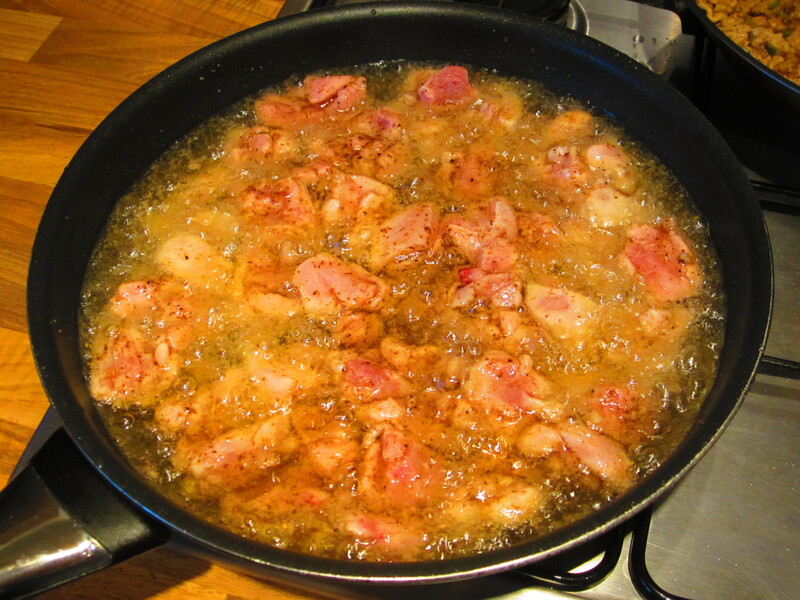 Place over a medium heat then carefully add the chicken and fry for 7 minutes. Stir halfway through to ensure the meat is cooked thoroughly and evenly. 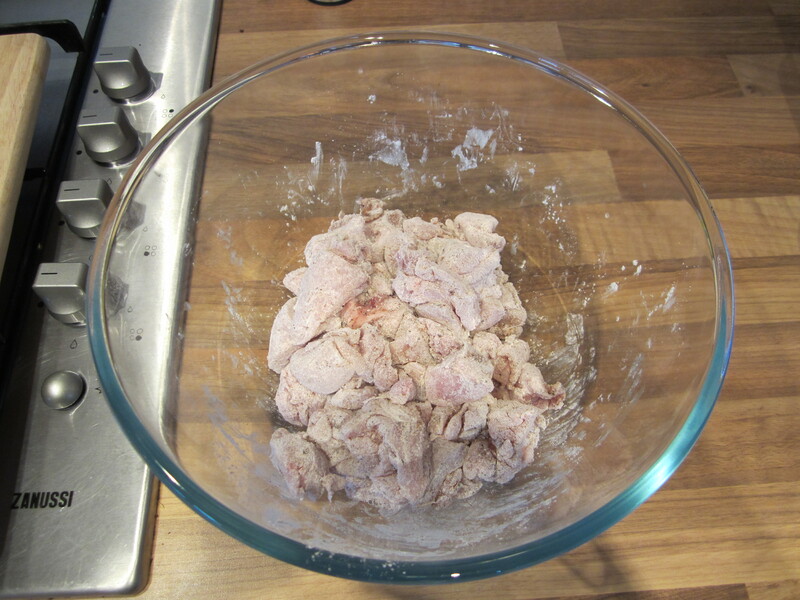 Whilst cooking the chicken, add 8 tablespoons of water to 2 tablespoons of cornflour and mix. 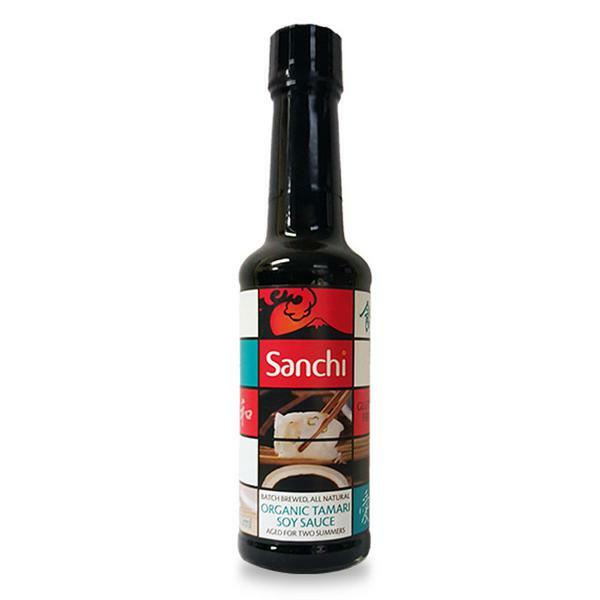 Add in 6 tablespoons of light soy sauce, 2 tablespoons of dark soy sauce, 2 tablespoons of rice wine vinegar and 3 tablespoons of honey then mix thoroughly into a sauce. 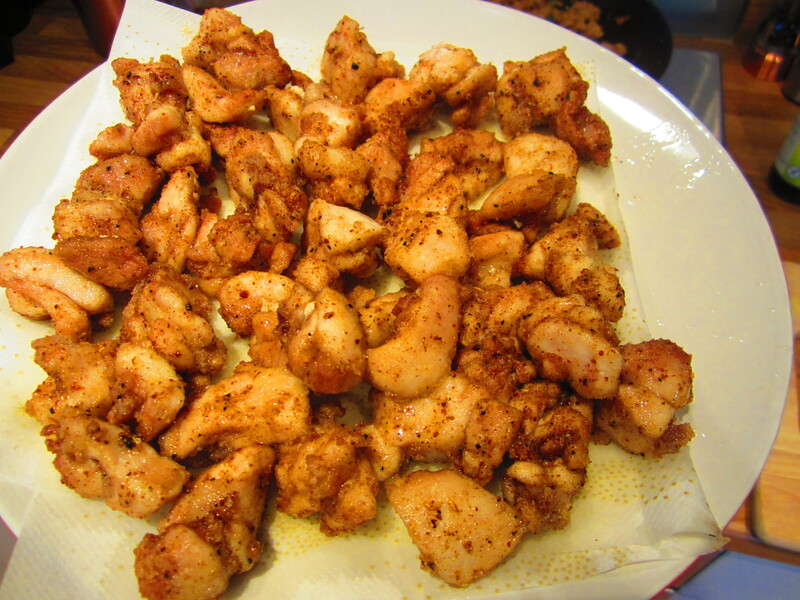 When the chicken is golden, remove onto a double layer of kitchen towel to drain. Pour away most of the oil, leaving only enough to cover the base of the pan. 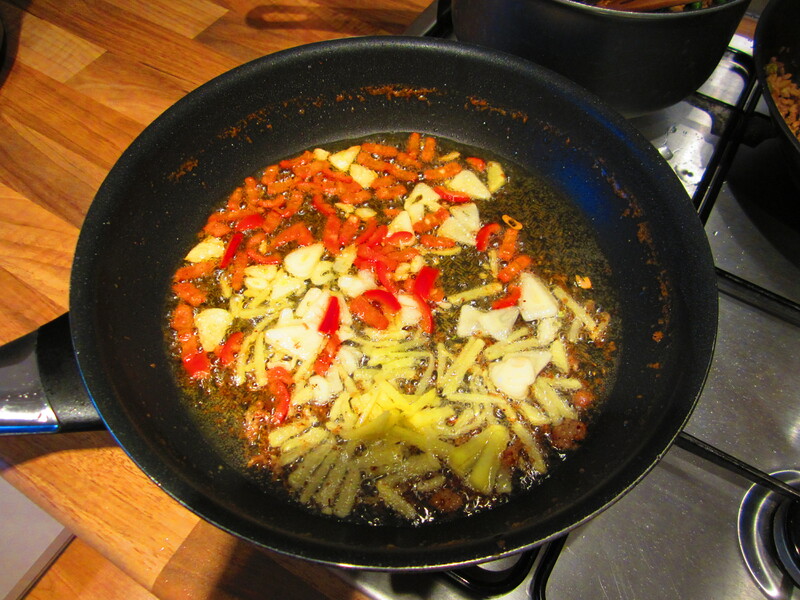 Return the oil back onto a medium heat, then add the garlic, ginger and fresh chilli and fry for ~2 minutes until slightly golden. 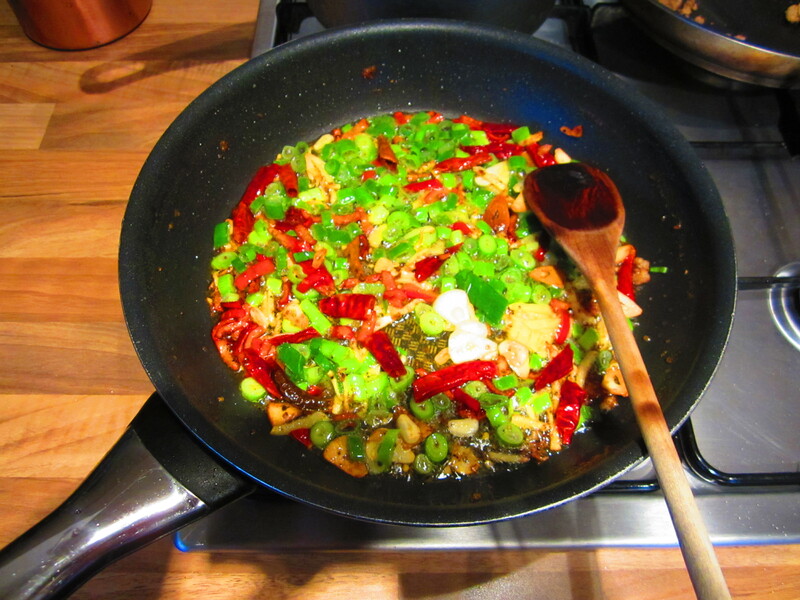 Add the spring onions and dry chillies and fry for 1 more minute. 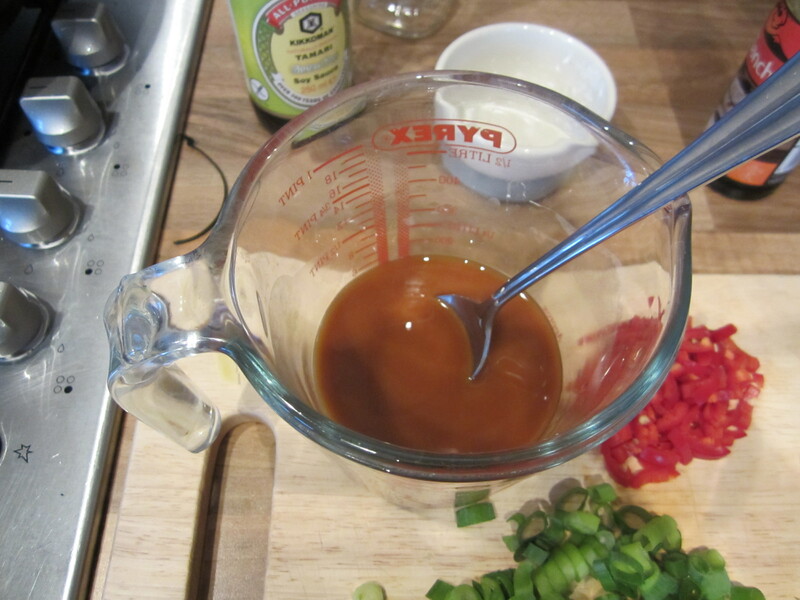 Pour the sauce to the pan and bring to boil then allow to simmer for a few minutes until it tightens. 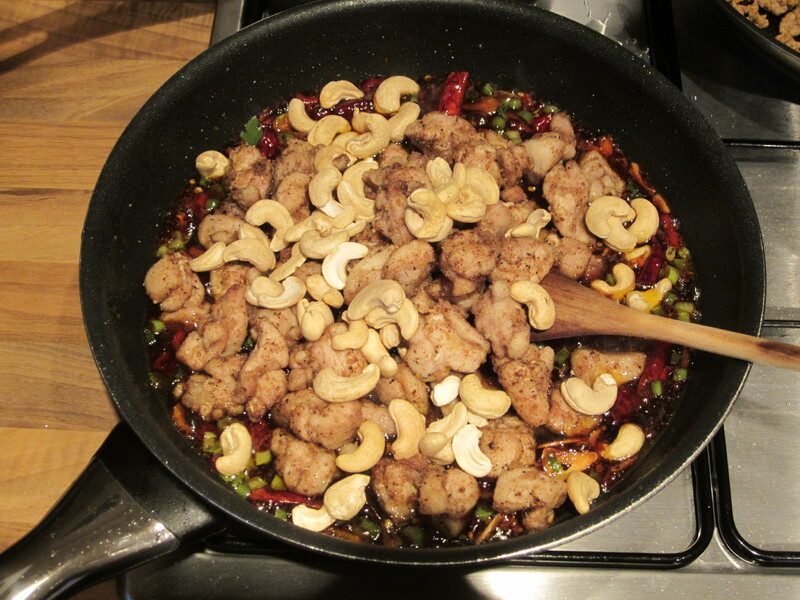 Finally add the cashew nuts and the chicken to the pan, then stir to ensure they are fully coated. 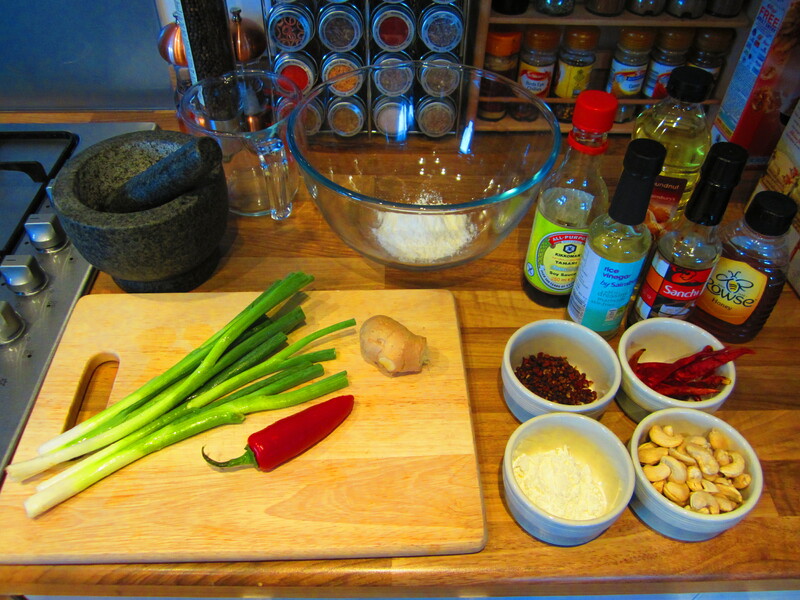 Allow to warm through for a further minute and serve with a garnish of spring onion (optional).